Dehydration is simple to understand—it occurs when a person does not take in enough water to replace what’s been lost throughout the day. The causes of dehydration can be as simple as forgetting to drink because the day is so busy or sweating because the day is hot or you’ve been exercising. Illness can also be a factor, such as when you are running a fever or suffering from diarrhea or vomiting. Even a small change such as a sore throat can mean we don’t take in the fluids we need. 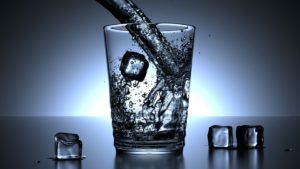 Dehydration can occur with more serious problems, such as undiagnosed or uncontrolled diabetes because it causes you to urinate more frequently. Medications like diuretics, water pills, or drugs to control blood pressure can also cause the body to lose fluids through urination or perspiration. Age increases the risk of dehydration because the body’s ability to conserve water is reduced, the thirst sense becomes less acute, and sometimes we forget to eat or drink since our body isn’t craving fluids. There are generally two types of symptoms associated with dehydration: mild to moderate and severe. Your mouth might feel dry or sticky and you might feel tired. A decreased urine output or constipation are also symptoms as are headaches. If you feel light headed or dizzy when you change position, you may be a little dehydrated. These symptoms are indications of a medical emergency and should be addressed immediately: extreme thirst, very dry mouth, skin and mucous membranes, little or no urination or urine is darker than normal, sunken eyes, skin that doesn’t “bounce back” when you squeeze it, white finger tips that don’t return to a pink color after someone presses the fingertip, low blood pressure, rapid heartbeat, rapid breathing, fever, delirium or unconsciousness. If you think you’re dehydrated, the best thing to do is drink fluids. Water and sports drinks should set you right in a very short time. However, if you have medical issues or are suffering from a chronic disease, call the doctor right away, especially if you have severe diarrhea, bloody or black stool, can’t keep fluids down, or are irritable/disoriented. Your doctor will want to know what’s happened to you so writing a list of your symptoms can be very helpful. Include notes about changes in your diet or exercise and the medications you’re taking, including over the counter medicine. Treatment is usually focused on drinking water or liquids other than fruit juices, carbonated beverages or coffee, which can make diarrhea worse. Extreme cases of dehydration often respond well to an IV of fluids and do not require hospital admission. Of course, an ounce of prevention is always worth a pound of cure. Drink when you feel thirsty and always drink during exercise without waiting to feel thirsty. Remember that you will need more water when the weather is warm and you tend to sweat more. Stick to shade or cool indoor areas. Always remember to ask for help when you need it. Home health care agencies like Atrinity Home Health want to be there for you and are happy to answer questions when you’re not feeling well.